A vehicle which is registered outside the State of Karnataka and plying on the State roads for a period from 31 days up to 12 months cannot be subjected to tax under the Act, the Court observed. 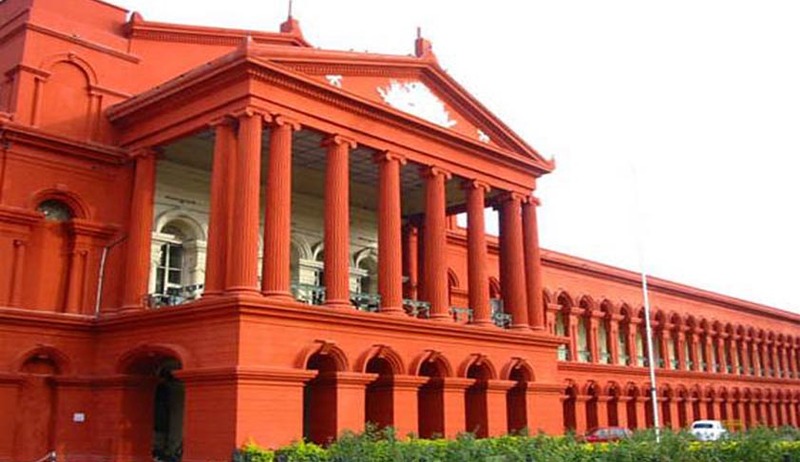 The Division Bench of Karnataka High Court has upheld a Single Bench judgment which had quashed the Karnataka Motor Vehicles Taxation [Amendment] Act, 2014, which sought to levy lifetime tax on motor vehicles registered outside the State of Karnataka, in case they have been in the State for a period exceeding thirty days, as unconstitutional and ultra vires. The Single Bench of the High Court had observed that a lifetime tax that is levied at the point of registration of a vehicle cannot be levied on a vehicle that is already registered, merely on a presumption that a vehicle registered outside the State of Karnataka has remained in the State of Karnataka for a period exceeding thirty days. The state preferred Writ appeal against this Judgment. It is held that registration of motor vehicle under Section 39 or Section 47 of the MV Act, 1988, as the case may be, is sine qua non for levy of tax under Section 3(1) of the Act. This is because, Explanation - 1 r/w the note appended to Section 3(1) categorically refers to a vehicle possessing a certificate of registration, which is current, for the purpose of levy of tax under Section 3(1) of the Act by a deeming provision or a fiction. In view of the aforesaid conclusion, it is held that for the period from 31 days up to 12 months, as registration of a vehicle coming from outside Karnataka is not required under Section 47 of the MV Act, there can be no levy of lifetime tax for the aforesaid period under Section 3(1) of the Act. Since the aforesaid conclusions are in consonance with the dictum of this court in case of Mahesh C. Gandhi vs. D.C. for Transport, Belgaum [2005 (5) KLJ 362], it is held that the said dictum as well as the judgment of the learned single Judge would not call for any interference in these appeals. It is held that Explanation - 2 to Section 3(1) of the Act is not per se illegal merely because of its form. It is held that a provision in an enactment can be clarified by means of an explanation. However, Explanation - 2 to Section 3(1) of the Act is ultra vires Section 47 of MV Act, 1988 which is a Central enactment made under Entry 35 of List – III (Concurrent List), in view of Clause 3 of Article 246 of the Constitution. It is further held that Explanation - 2 to Section 3(1) of the Act has not taken away the basis of the judgment of this court in Mahesh Gandhi and therefore, a vehicle which is registered outside the State of Karnataka and plying on the State roads for a period from 31 days up to 12 months cannot be subjected to tax under the Act. This is because the insertion of a non-obstante clause contained in the said Explanation - 2 cannot achieve an object contrary to the dictum of this court in Mahesh Gandhi, which is in consonance with Section 47 of the MV Act, 1988, which is a Central enactment. Hence, Explanation - 2 to Section 3(1) of the Act is held to be ultra vires Article 246 (3) of the Constitution and also Section 47 of MV Act, 1988 and hence, it is struck down. Therefore, any vehicle coming from outside Karnataka, which is registered in the State of Karnataka as per Section 47 of MV Act, 1988 is liable to pay tax under Section 3(1) of the Act r/w Schedule A5 Group-B.